Your automobile is a vital component to your daily routine. When you are able to see clearly through the windows and windshield, you are able to drive with more confidence. Don't let cracks, pitting, or a broken window rob you of your ability to drive safely. 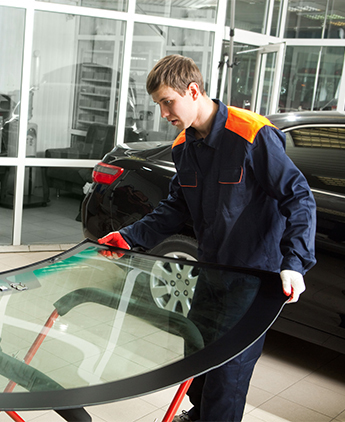 At Senneco Auto Glass, we have the right solutions to your window and windshield problems. We facilitate auto glass repair in Maple Heights, OH, and we serve motorists throughout the surrounding area. From fixing chips to full auto glass replacement, our company is available to address your specific needs. Choose a company that prioritizes customer satisfaction. Our auto glass repair and replacement company is locally owned and operated. For more than 30 years, we have made a point to unify timely service, advanced technology, and resourceful technicians to provide thorough service to all motorists. From auto glass chip repair to commercial glass replacement for entire fleets, our company adapts to your situation to deliver the solutions you need, when you need them. Tiny rocks and other debris pose a significant threat to your windshield and windows. When you discover pitting and inconsistent texture on your glass, count on us for auto glass chip repair. Our team uses sophisticated materials and proven techniques to restore the even, uncompromised finish to your automobile windows. A collision or act of vandalism can easily compromise the safety and integrity of your car, truck, or SUV. Fortunately, our glass repair center is here to resolve your issues. Our team is available for auto glass replacement. We use materials that match manufacturer's specifications so your vehicle looks better than new. Enjoy better value and responsive service with our company. Our thorough, accurate approach to service comes standard with every project. On top of that, we facilitate additional initiatives that save time and money. Our company accepts all insurance so you get assistance that is covered by your policy. In addition, qualifying auto glass repair projects may be completed the same day you request them. For busy motorists, our mobile service is here to answer your call. Emergency repair services are available 24 hours a day, 7 days a week. Contact us today to request an estimate for auto glass repair. We proudly serve vehicle owners in Maple Heights, Cleveland, Bedford, Northfield, and Twinsburg, OH, as well as the surrounding area.